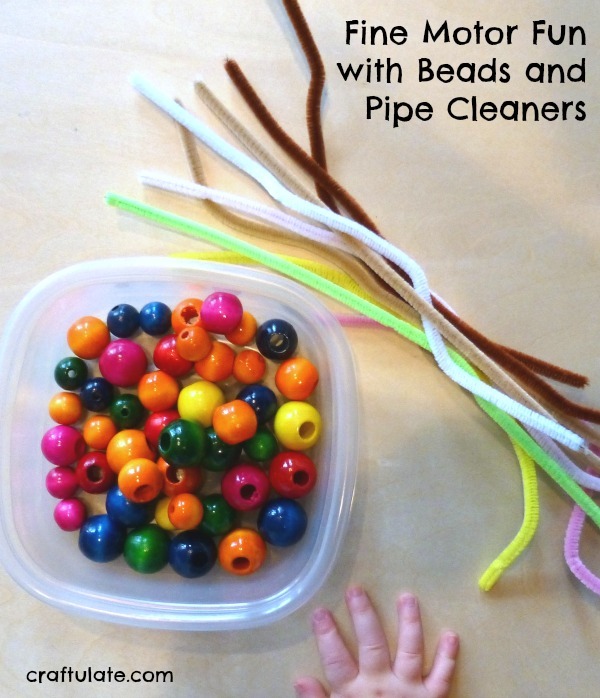 This simple activity requires just beads and pipe cleaners, and is a great opportunity for children to practice their fine motor skills. With a bit of an advance planning, tape resist painting can result in some very striking artwork! Here’s our collection of Kindle apps for babies and toddlers. 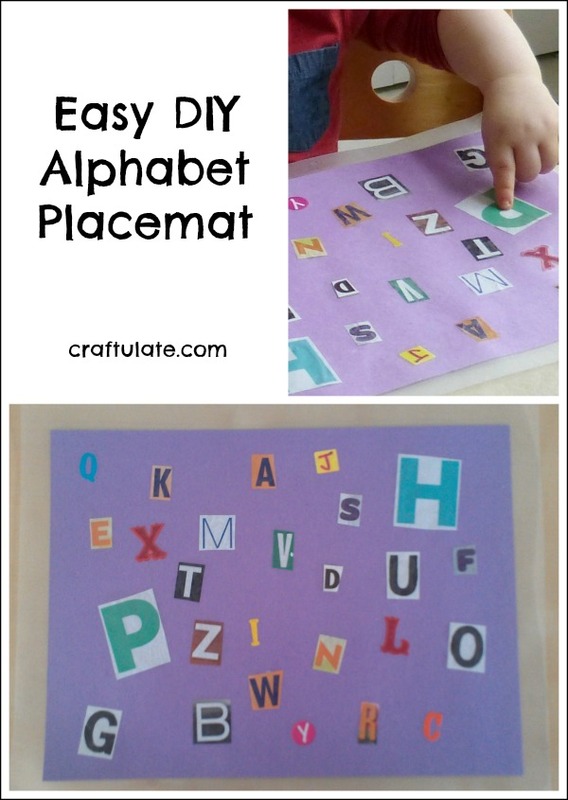 This alphabet placemat is a super easy project, perfect for when your child is starting to learn about letters. Older children could help make it too. I’m always looking for new painting “tools”, so at our latest art session we tried painting with Mega Bloks! 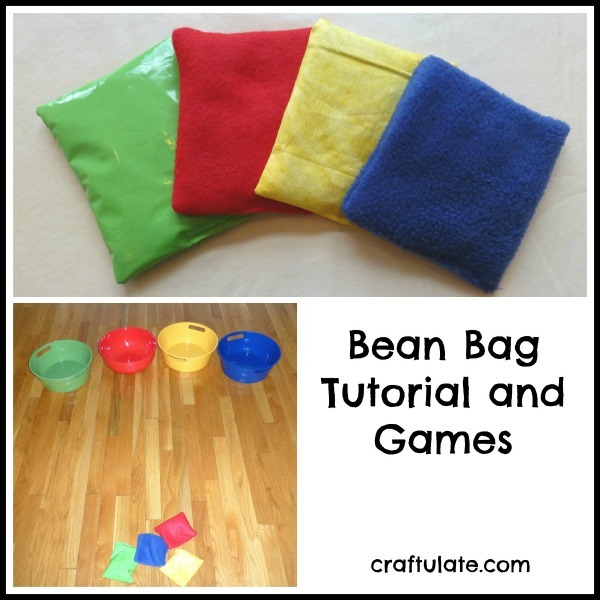 In need of some inspiration for your next craft activity with your toddler? Just look in your pantry and try out some of these larder crafts and activities! Making coloured rice is a really easy (and cheap) activity – and great for some sensory play afterwards! This steam train themed table tent was a fun fabric craft to make for my train-loving son! We really haven’t had much snow this year, so I added to our winter experience by making some indoor snow. 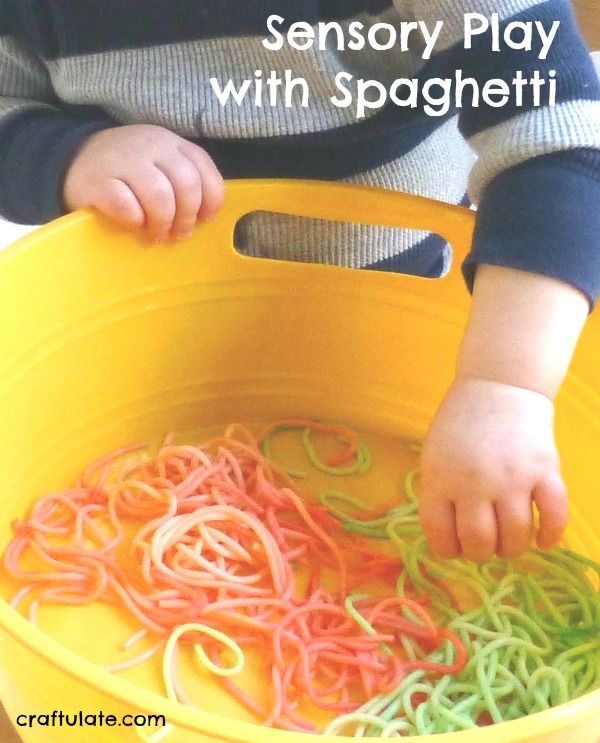 This week my son has been having some great sensory play with cooked spaghetti! Jello pudding paint is a fun vibrant homemade paint that smells amazing and is totally taste-safe! Magic Milk is a true science-meets-art project that can be done with simple kitchen ingredients! When I saw this idea for a Cornmeal Sensory Bin from Hands On: As We Grow, I just knew that my son would love it! Coffee filter papers are perfect for trying out some chromatography and producing some beautiful artwork.